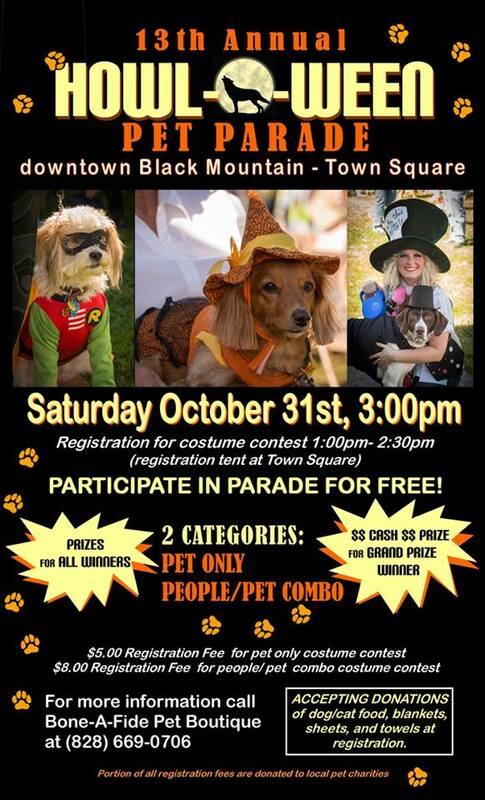 Visit Black Mountain on Saturday, October 31st for the 13th Annual Howl-O-Ween Pet Parade. The parade begins a 3:00 p.m. Registration for the costume contest is from 1:00-2:30 p.m. at the town square. There will be prizes for all winners and a cash prize for the grand prize winner.